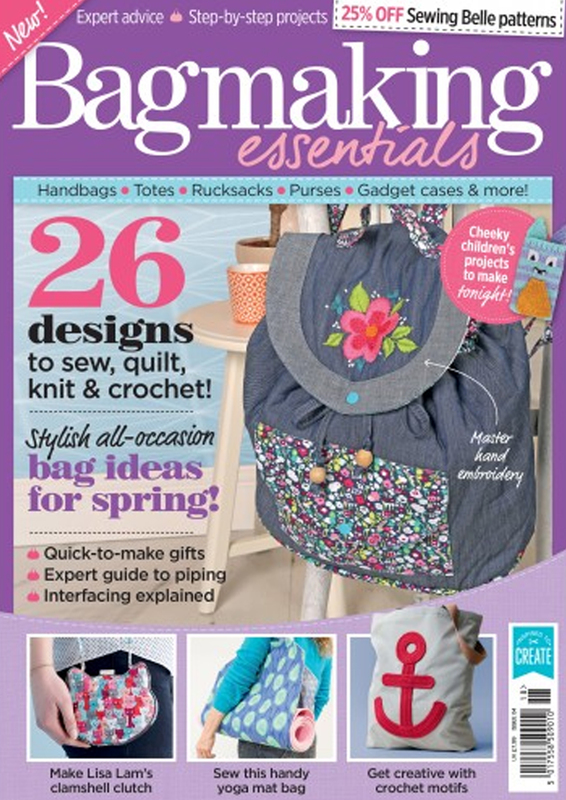 I love bag designing so I was delighted when the editor of Bag Making Essentials asked me to come up with something for a forthcoming issue. I love cross body bags as they are just so convenient so I set to work designing something that I thought everyone might like. I spent some time looking around online for some suitable materials and found this fabulous Feathers on Sand print by Lewis and Irene from their To Catch a Dream range. 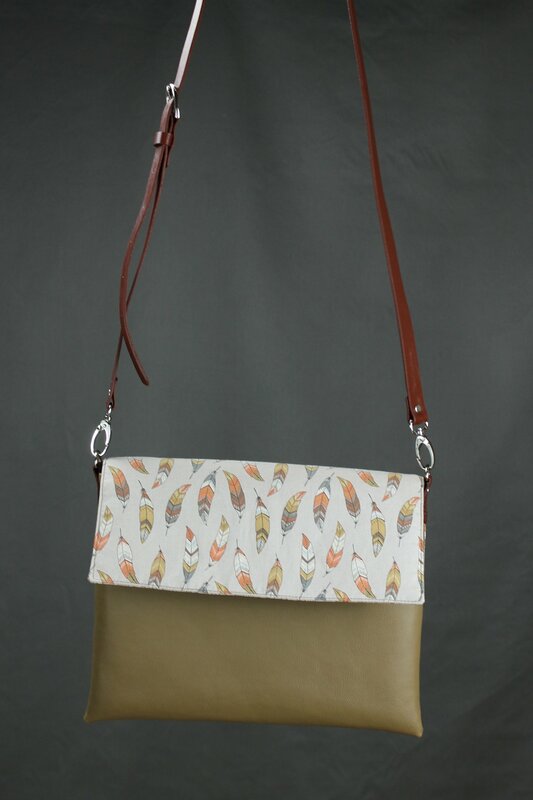 The rest of the bag is made with some faux leather from Fabric-Online. 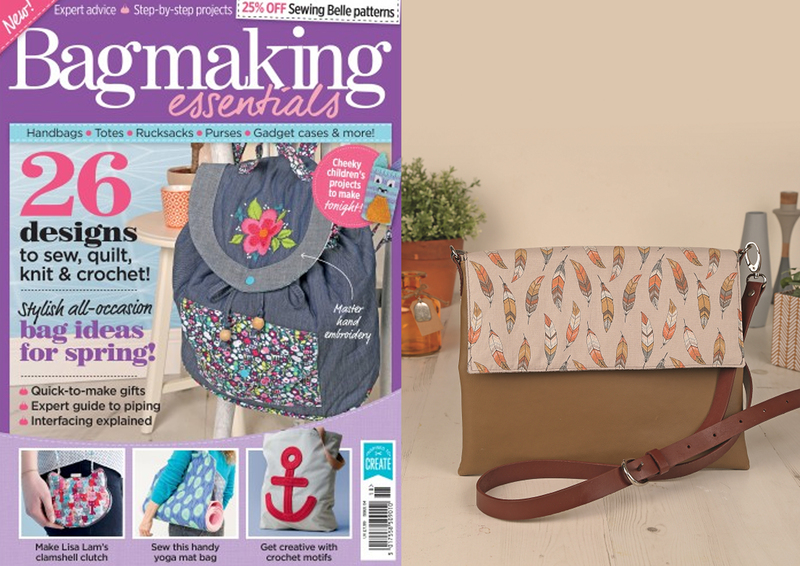 I used it when I made the crossbody rucksack that I designed for Love Sewing, so I knew it was perfect for the job. The bag has an internal slip pocket and under that flap is a zip to keep your contents nice and secure. I used a pre-made bag strap from Bag-Clasps, they come in a great range of colours…check out the purple! 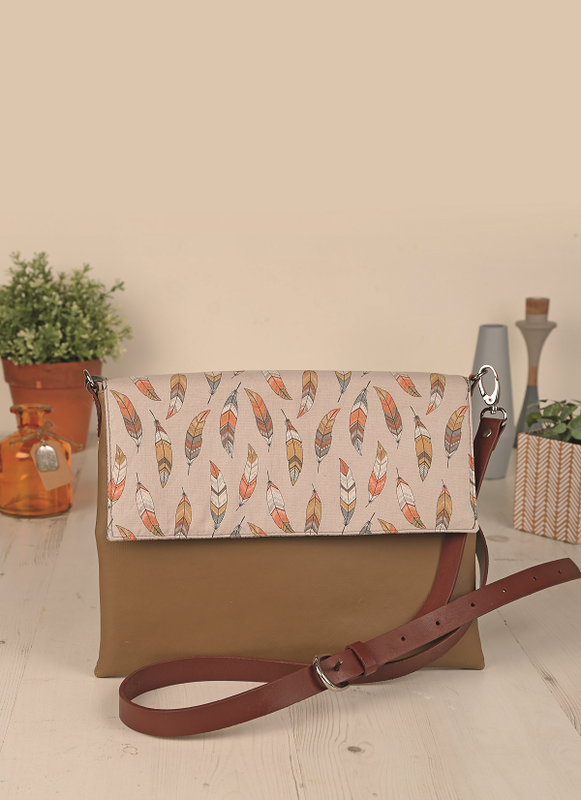 Let me know, what do you think of my cross body fold over clutch? Think you might try making one?